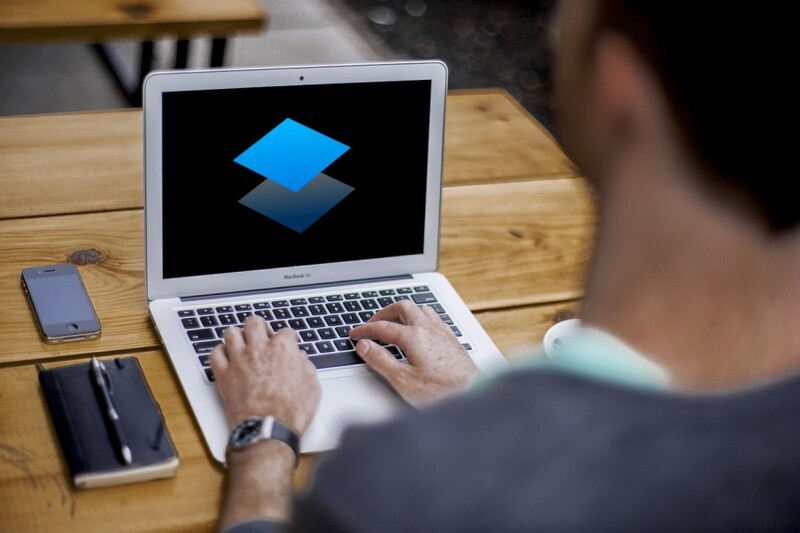 Dropbox has transformed from a mere cloud storage service to a great online collaboration tool. More features have been added with the aim to help you work collaboratively with your team. By April of 2015, Dropbox introduced a note-taking app that becomes a part of Dropbox service. The app is Dropbox Paper, or simply Paper. Dropbox didn’t develop Paper by itself. It bought a company behind Hackpad back in 2014. Dropbox then renamed Hackpad to Paper as we all now know. After got bought by Dropbox, Hackpad announced that it would be released as open source. You can find the source code of Hackpad on GitHub. Although the emphasis of Paper is document creation, it is different stuff to Google Docs or Word Online. Paper comes with a minimum formatting tools. If you want look for a comparison, Evernote is probably the better suited one. The advantage of Paper is on the collaboration capability. It would a great tool to work on a document with your team. You can invite your team members to join a certain document and have a real-time collaboration with them. Haven’t tried Paper? Then read on. Before got bought by Dropbox, Hackpad was known as a document collaboration tool, although only few (may be) people know it. So, no wonder if Paper has a superb capability in terms of collaboration. When creating a document, you can invite your team members via email addresses. Once invited, you can mention them just like you usually do on social media by typing “@” followed by their names. Dropbox has a useful notification feature to notify you when someone on your team mentions you. You can also highlight certain words on your document and leave a comment. Again, you can also mention your team members on the comment. This would be very nice for a real-time collaboration. This way, you can ask one of your team members to edit certain part of the document right away. Paper is a great tool to be used on an online meeting. In fact, Paper has prepared a meeting note template you can use. In order to make your notes be more organized, you can separate the personal notes and team notes by creating folders. You can also create a specific folder and invite your team members to the folder. Next time if you need to collaborate on a document or conduct an online meeting, simply get in to this folder. While Dropbox Paper is great for an online meeting when you and your team are not in the same room physically, it is also a great tool for an offline meeting. There is a present button to turn your note into a presentation. Paper is not projected to be an online alternative to Microsoft Word like Google Docs or Zoho Writer. It’s right that the emphasis of Paper is document creation, but Paper has no characteristic to create a complex documents like scientific journals or even thesis. You will see no toolbar like you usually find on word processor apps. Dropbox Paper comes with a very clean interface and distraction-free enough. If you want to apply some formatting to certain words, you can highlight them. A floating ribbon containing formatting tools will appear every time you highlight certain words. But again, Paper is not a word processor so you will find not much formatting tools. You can’t even change the font style or size. Paper allows you to insert something on the document you are working on. Like Dropbox files, image or tables. You can even add a programming code and it will be displayed in a different style. Dropbox Paper also allows you to insert media from third party sources like Trello, YouTube, Instagram, Google Drive, GitHub, InVision and so on. A row of icons will appear on a transparent mode when you click anywhere inside Paper worksheet. Furthermore, Paper also features a number of shortcuts to streamline your working process. You can see the shortcuts list by clicking the typewriter icon at the bottom-right corner of the screen. You can access Dropbox Paper directly by visiting paper.dropbox.com or by clicking the Paper menu at the left panel of the Dropbox dashboard. At the front page of Dropbox Paper, you will see documents you have created as well as the folders. Folder is something offered by Dropbox Paper to allow you manage your documents. To show all of the folders you have, you can click the Folder menu at the left panel. To create one, just click the Create a new folder button at the right panel. Paper doesn’t restrict you about the number of folder you can create. Dropbox Paper is more than just a note-taking app. It is also a nice online collaboration tool. You can effortlessly turn a certain sentence on your document into a task and assign it to your members and add additional comment. You can also set the due date of the task to ensure your team get it done on time. Yes right, you don’t need a task management tool anymore when working with Paper. In addition, you can also connect Paper with your Google account or Office 365 account to link a document to a calendar event. It’s also possible if you want to import documents. At the time of writing, you will only be able to import document with the file extensions of .docxand .txt. One thing, don’t expect too much about the document formatting especially if you are importing a DOCX document. Paper will may ignore some formatting you made. If you want to have an online backup of the document you are creating, Paper allows you to download your document into a Microsoft Word and Markdown format. Other useful enough features offered by Paper is word count and doc history to allow you keep an eye over the changes of your documents. 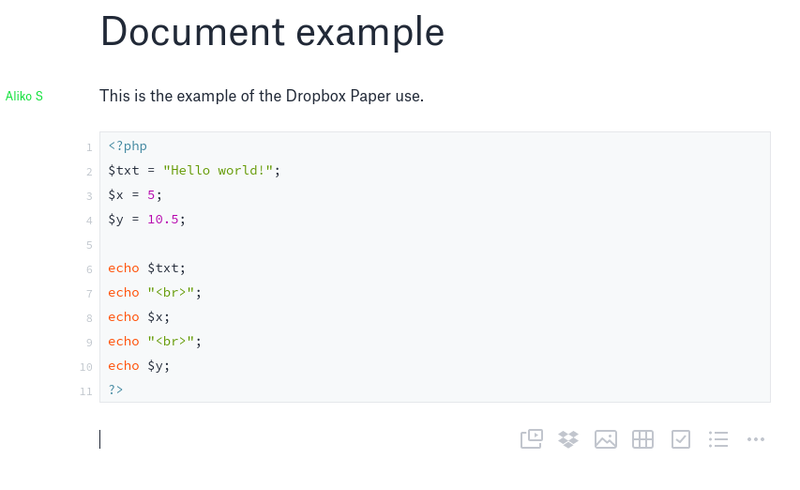 Dropbox Paper also has several document templates you can choose from. Dropbox Paper is a great tool to create a document online. One thing you need to keep in mind, it’s not projected to be an online alternative to Microsoft Word or other desktop-based word processors. Paper and Microsoft Word have the different focus. The use of Paper would be better suited for things like meeting notes, brainstorm, project plan and other things that involve team interaction. If you really want to look for a tool to compare with, Evernote would probably be a suited comparison. With Evernote now only allows you connect two devices (free account), Dropbox Paper can be a good replacement. Overall, I can say that Dropbox Paper is a really great tool for online collaboration.